Samsung’s A-series lineup will get reinforcements next month as the company set the date for its next event. April 10 should see the official arrival of the Galaxy A90 and two more phones. The Galaxy A20 and Galaxy A40 are frequenting the rumor mill, so it might be them. In the official announcement, Samsung hints at the possibility of true all screen phones with three silhouettes of a border-less displays. 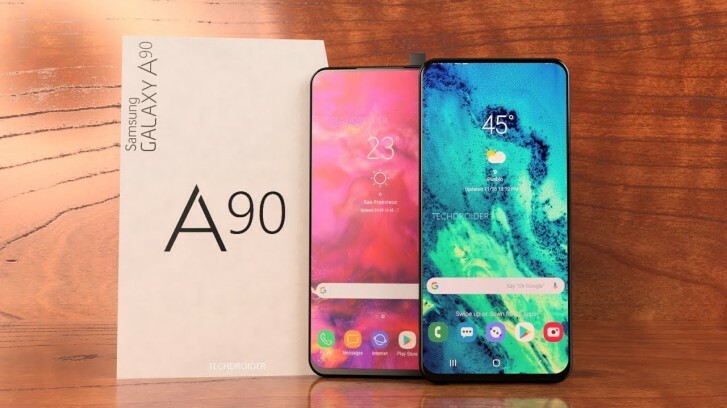 The Samsung Galaxy A90 will become the leader of A-series. Previous leaks pointed to a pop-up rotating camera and flagship-grade processor. The event will take place in Bangkok, Milan, and São Paulo. Stay tuned for more details on the event and the new phones. Another set of useless oversized phones from Samsung that nobody asked for or needs.